The best way to get to know a community is by scheduling a tour. See the facilities, meet the staff and residents, and get a feel first hand what it's like to live at Oakview Senior Care Assisted Living. 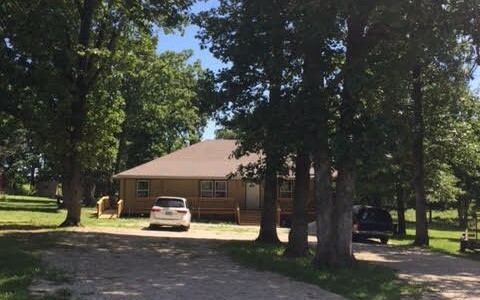 Oakview Senior Care in Mount Vernon, Missouri is a beautiful home located in a quiet country subdivision. Set on a five-acre lot, we have a fish pond, grape vines and plenty of trees, creating a tranquil environment to retire to. Our home has been stylishly designed with elements such as high ceilings, granite counter tops and fireplaces. Our comforting homelike community offers private rooms to each resident with private bathrooms. Set on a five-acre lot, there are amazing views of the countryside. Our home welcomes you to step outside and enjoy the fresh air, peace and quiet. Each and every day, fresh, home-cooked meals are prepared for residents to enjoy. Our staff creates personalized activities for residents to engage with. Additionally, you can rely on housekeeping and laundry services, so you never have to worry about the toil of home maintenance again. We provide both short- and long-term care, so whether you or your loved one just need a safe place to recover from a hospitalization or simply cannot live alone any longer, we are there to help. With a 24-hour personal care program and assistance with activities of daily living, medication management and more, you can live with the peace of mind that your safety and security are assured at Oakview Senior Care. We also offer wellness services and on-site visits to make sure health needs are proactively addressed. We help with tracking appointments, and our caring staff is always there to provide companionship, support and conversation. We welcome you to visit us and find your country home to reside at Oakview Senior Care.